Last Tuesday night, students from years 7 to 12 competed in Round 1 of the Victorian Schools Debating Competition. After weeks of rigorous training and tense practice debates, our hardened debate team was prepared to persuade. Our students were the underdogs walking into the Haileybury’s well established debating precinct. For example, Jeremy Thai Chan, an intrepid Year 7, signed himself up to compete in the D Grade, a Year 9 level age bracket and two years above his training. Ava Collison was another precocious student also competing two years above her age bracket in the A Grade. Even though our students were up against older, more experience students from private schools they composed themselves with grace and confidence. Our A Grade team won the A Grade Round 1 competition knocking out Haileybury Boys College from the finals. The topic was: that Australia should implement a universal basic income. Congratulations to Annie Mey Lee, Ava Collison and Alex Vujicic for their incisive performance. Our C Grade team also won their age level bracket and also knocked out Haileybury Boys College from the finals in the C Grade division. Congratulations to Callum Roberts, Dylan Brown and James Vicendese for their eloquence on the topic: that we should ban the sale of all cars powered by fossil fuels by 2025. 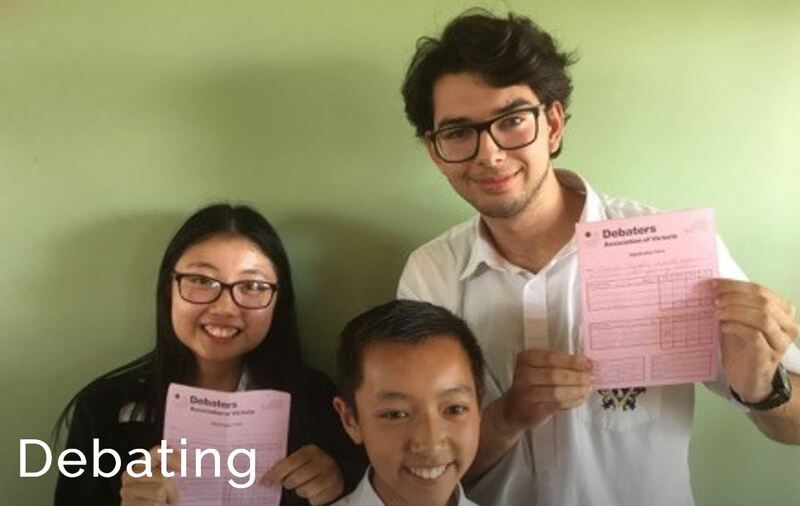 Valiantly, our D grade team came a close second, by one point, against the finest debaters of Haileybury College’s eminent D Grade team. Well done to Jeremy Thai Chan, Matthew Wade and Lauren Ditchfield for their phenomenal effort and wit on the topic: that the Olympics should expand to include non-sporting events.